Your wedding day will be one of the most special days of your life. Choose the scent you want to remember it by. We have several different options to help you personalize your experience from your engagement up to the big day. We have options to fit every budget to help you define the fragrance of your wedding experience. Bring your group of family and friends to Historic Downtown Lee's Summit for your shower. We can help you plan your event with the help of one of the fantastic event spaces in the area. 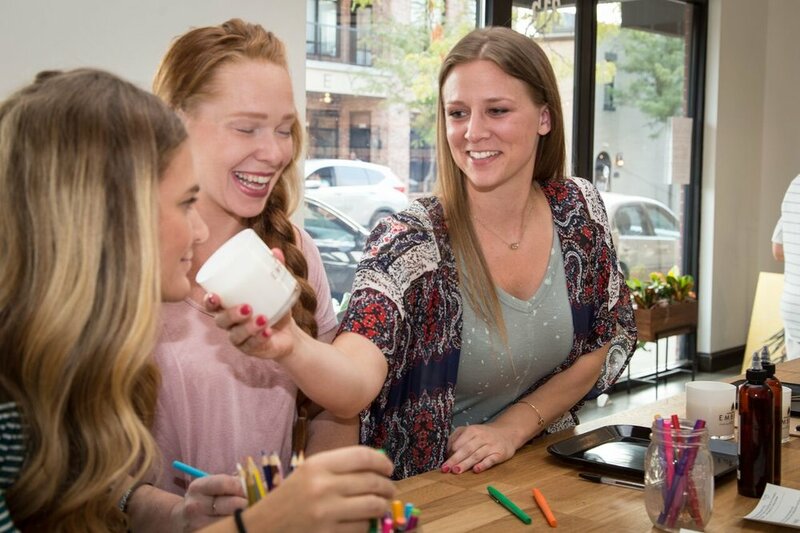 We will have you start with candle pouring and then move on to your event space for drinks, cake, presents and the rest of your activities. We will deliver your candles to your Downtown Lee's Summit event location when they are finished. Candles make a perfect wedding favor or bridal shower gift. 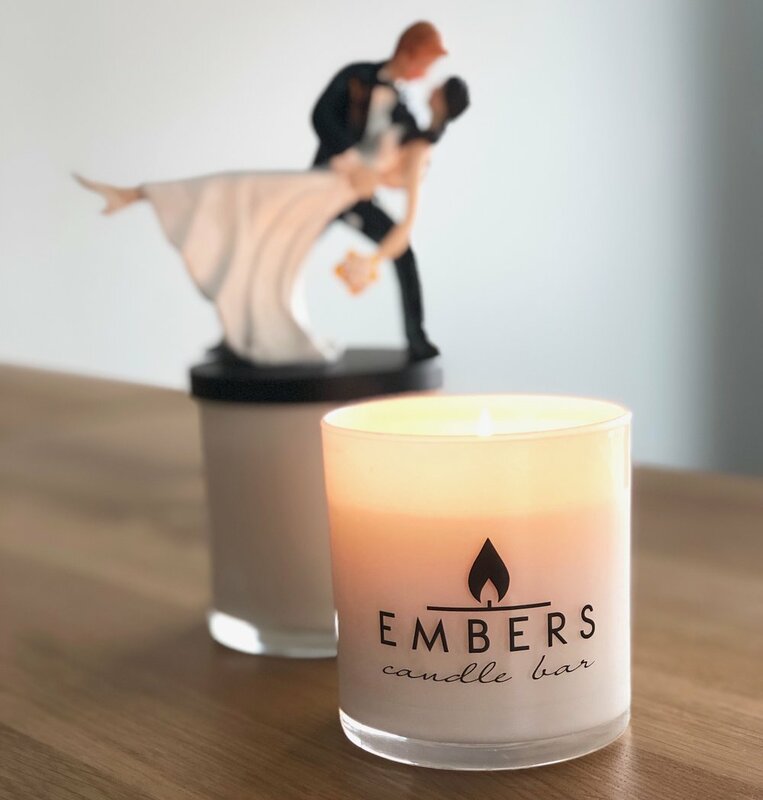 We can work with you to create a scent that captures the joy of your special day so that you can give a piece of it to your guests and everyone who has helped you along the way. Create the ambience of your reception space with your own custom wedding scent. We will work with you and your fiancee to find a scent that blends together as naturally as your love. This scent will bring back the memories of your special day each time you light it.